The modeling department of the TROPOS has developed the state-of-the-art multi-scale model system COSMO-MUSCAT (Wolke et al., 2004, 2012). It is qualified for process studies as well as the operational forecast of pollutants in local and regional areas (Heinold et al., 2007; Hinneburg et al., 2009; Renner und Wolke, 2010). The model system consists of two online coupled codes. 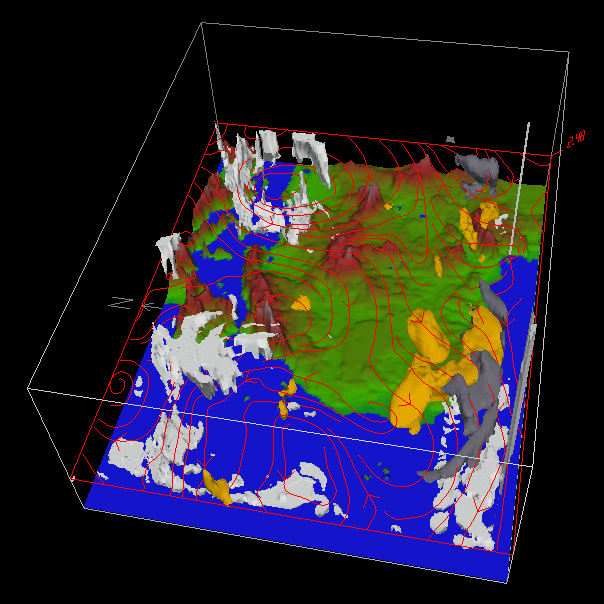 The operational forecast model COSMO is a non-hydrostatic and compressible meteorological model and solves the governing equations on the basis of a terrain-following grid (Doms and Schättler, 1999; Baldauf et al., 2011). Driven by the meteorological model, the chemistry transport model MUSCAT (Multi-Scale Chemistry Aerosol Transport) treats the atmospheric transport as well as chemical transformations for several gas phase species and particle populations (Knoth and Wolke, 1998; Stern et al., 2008). The transport processes include advection, turbulent diffusion, sedimentation, dry and wet deposition. The modelling system is used for several air quality applications (e.g., Wolke et al., 2012) and the investigation of the large-scale transport of Saharan dust, including its sources and sinks (e.g., Heinold et al., 2007, 2011). The simulation results were evaluated by measurements and satellite data within the framework of the project SAMUM. In addition to parameterizing dust particle fluxes, the influence of dust by modifying solar and thermal radiative fluxes on temperature, wind fields, and cloud dynamics is estimated (Helmert et al., 2007). Furthermore, Saharan dust export to the North Atlantic is quantified, where nutrient input by dust is suspected to enhance marine productivity. The performance of the modeling system was evaluated in several model intercomparison studies, e. g. in the framework of AQMEII (Solazzo et al., 2012 a, b). Heinold et al (2007) Heinold, B., J. Helmert, O. Hellmuth, R. Wolke, A. Ansmann, B. Marticorena, B. Laurent and I. Tegen, 2007, Regional Modeling of Saharan Dust Events using LM-MUSCAT: Model Description and Case Studies, J. Geophys. Res. 112, D11204, doi: 10.1029/2006JD007443.